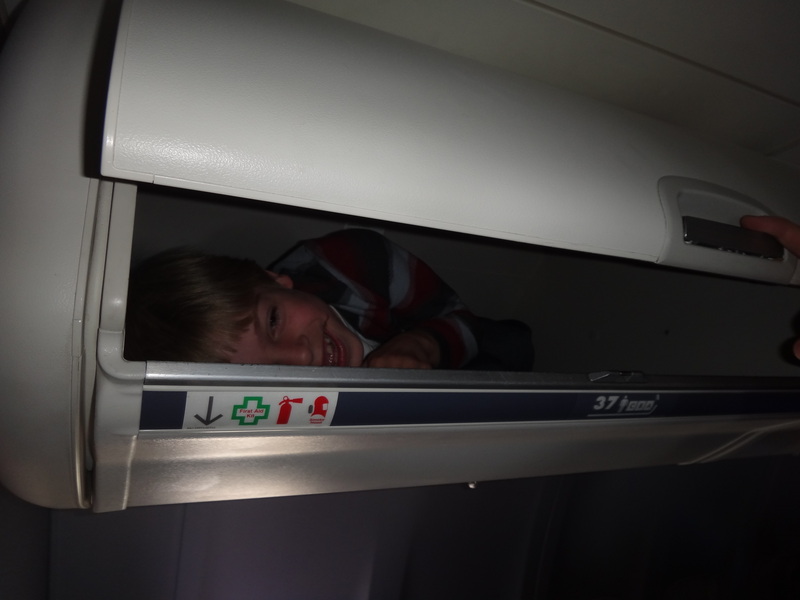 There party was happening at the back of the plane. It was us. We had the entire back row to ourselves. Our flight crew was a fiesty, rowdy bunch and they had the right crowd in the back to fully enjoy them. Now, the boys and I have traveled by plane together in the past, but we’d never before embarked on such a long journey. 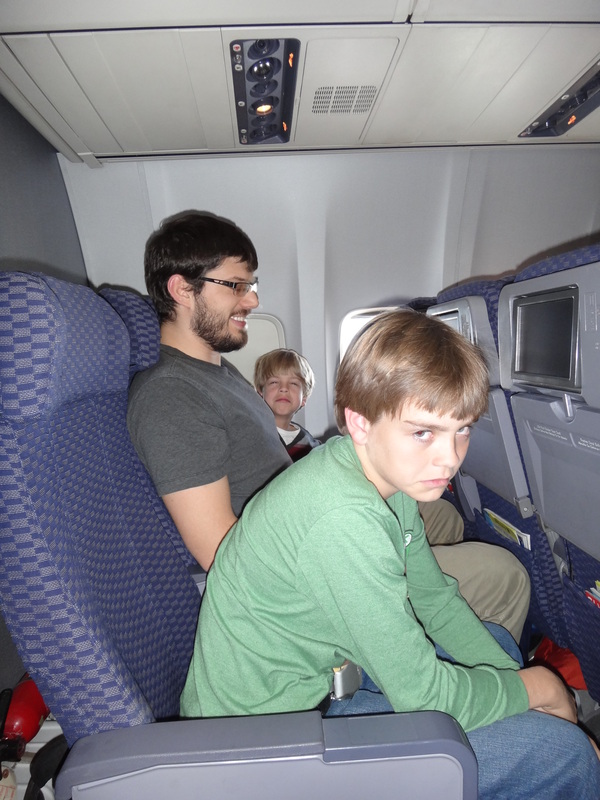 I’d had a reasonable level of confidence that the trip wouldn’t be problematic, but kids are unpredictable and I wasn’t quite sure what to expect. Turned out to be fabulous. To be quite honest, I think the trip was easier with them along than if they hadn’t been there. They were fun, cooperative and kept boredom from leaking into our 16 hour journey. 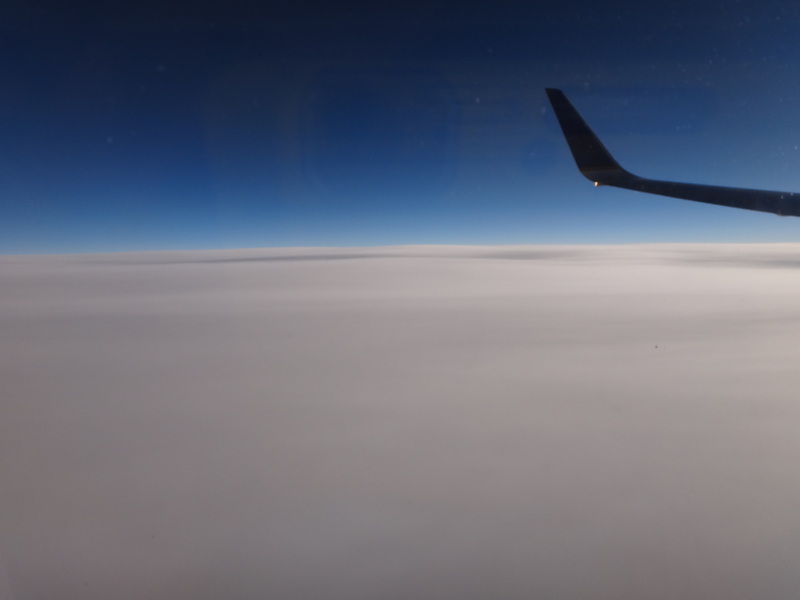 The landscape out our window became increasingly rugged and snowy, but as we approached Anchorage the Captain announced there would be moderate to severe turbulence on landing. Right before descending though, the view was a blanket of white cotton as far as the eye could see. The clouds made a perfect line of fluffy white against a baby blue sky. We arrived into Fairbanks well past midnight Eastern time. The boys, fueled from a curious concoction of sheer adrenaline and exhaustion, couldn’t resist the banks of snow piled along the sides of the airport parking lot. Quite comically, they were totally shocked at the stinging cold suddenly needling their ungloved hands. These white blanked vistas are something entirely new to them. This is a landscape totally foreign and even the smallest details thrilled them. They were excited over everything from snow drifts piled atop unshoveled cars to the icicles dangling from the eaves of the bed and breakfast. Our home away from home, the Alaska Heritage House is an interesting historical building, built in 1916. Upon arrival, the boys instantly dispersed to explore all the nooks and crannies. The innkeeper, Van started to tell us all about the history, but I was far too tired at the moment to digest anything of value. That will be a task for another day this trip. It took the boys a very, very long time to settle down. This “Best Day Ever” was just too full of adventure to be allowed to end. Despite the exhaustion and lateness of the hour, they still needed to go outside and throw themselves into some snow and ice. Now about that row 33, no one was able to tell us why our flight didn’t have a row 33. Do any of you know?